Win an all-expense paid trip to Paris, France! 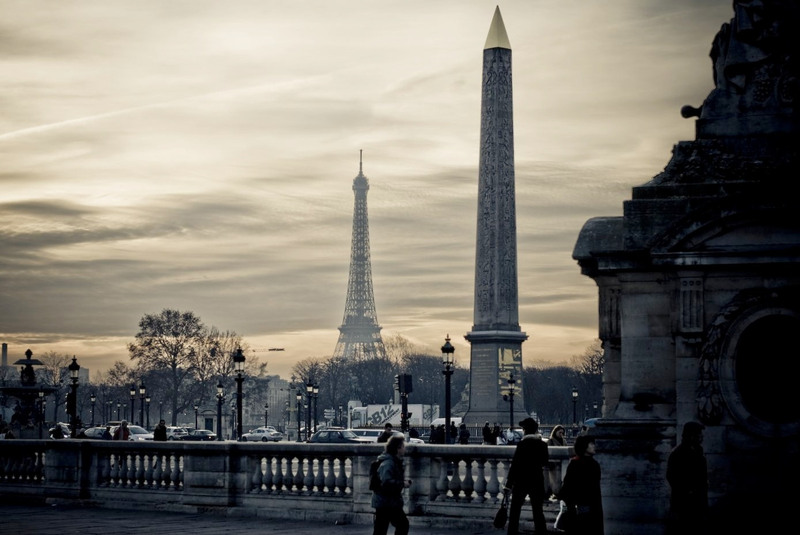 Paris is the dream destination of any girl who’s a lover of fashion, art and exquisite pleasures. It is also a top choice for newly-married couples who are out to celebrate their honeymoon. The City of Love and Lights has been the backdrop of many classic books and movies and is even the inspiration behind some of the best songs. Flying to Paris can come true for you–thanks to Parisian Shoes and Bags and Preview Magazine! You won’t have to book your own flight or worry about pocket money; this is an all-expense paid trip to Paris, France, wherein you get to catch KC Concepcion’s Preview shoot + go on a city tour with visits to the Arc de Triomphe, Louvre Museum, Tours de Notre-Dame and a Bateaux Parisiens River Cruise! If you’re between 19-55 years old, a certified Preview girl who loves Parisian shoes and bags and has an existing Philippine passport (valid until September 2014), this is your chance to make that Parisian dream come true! Just purchase at least P2000 worth of Parisian shoes and/or bags at any SM Department Store nationwide from July 1-31, 2013. Surrender the receipt to the Parisian-Preview Escape to Paris Promo redemption booth on the day of purchase to acquire the promo code required in submitting an entry. 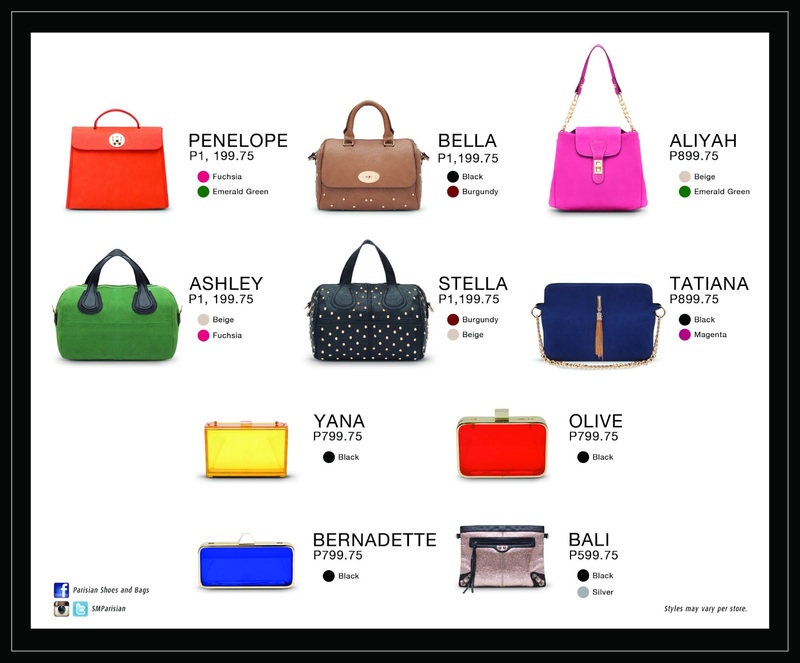 These are just a few of the many bags and clutches in SM Stores! Nice colors and architectural details! After that’s done, log on to http://www.stylebible.ph/escapetoparis and click on the Parisian-Preview Escape to Paris Promo microsite and enter the promo code, along with your complete contact details. 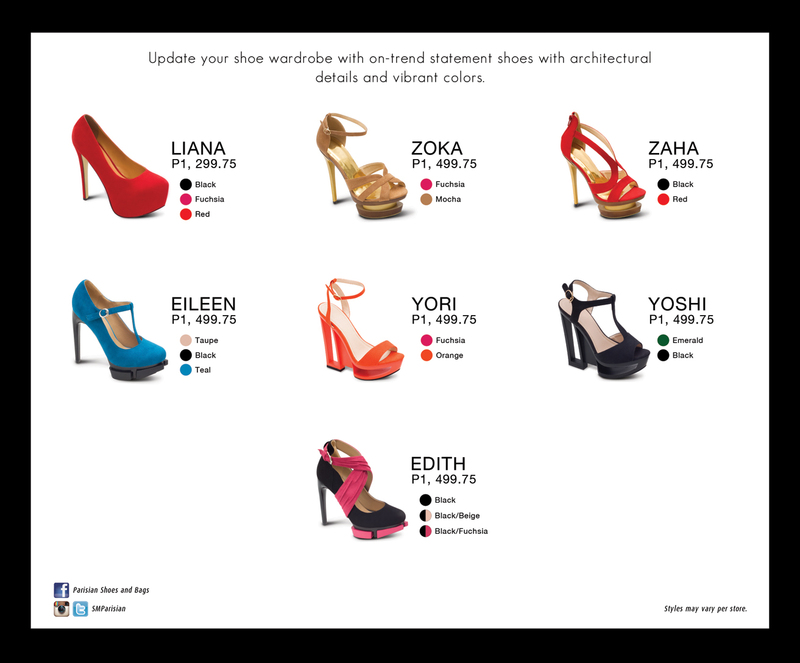 For more information and complete mechanics, click on http://www.stylebible.ph/escapetoparis or follow @stylebibleph on Twitter to get updates. I Love Lulu Nails and Seche!